Oscar winner inspired by Nancy Drew and Encyclopedia Brown series. 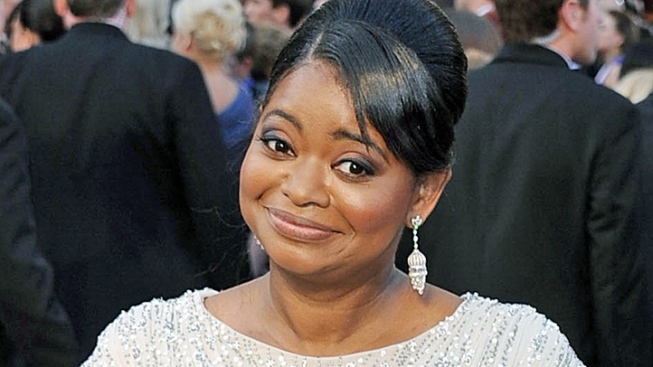 Actress Octavia Spencer has signed a two book deal with publisher Simon & Schuster. Oscar winner Octavia Spencer is looking to make some magic in the book world. The actress best known for "The Help" has a deal with Simon & Schuster Books for Young Readers for a pair of detective novels for middle school students. Simon & Schuster announced Thursday that the first book, "Randi Rhodes, Ninja Detective: The Case of the Time-Capsule Bandit," will come out next fall. Spencer said in a statement that she had been inspired by such mystery series as Nancy Drew and Encyclopedia Brown and hoped to give kids the same "sense of magic." Spencer, 42, has also appeared in such films as "Flypaper" and the upcoming "Smashed."